For young children, open ended crafts are the way to go as they allow children free reign on their creativity. 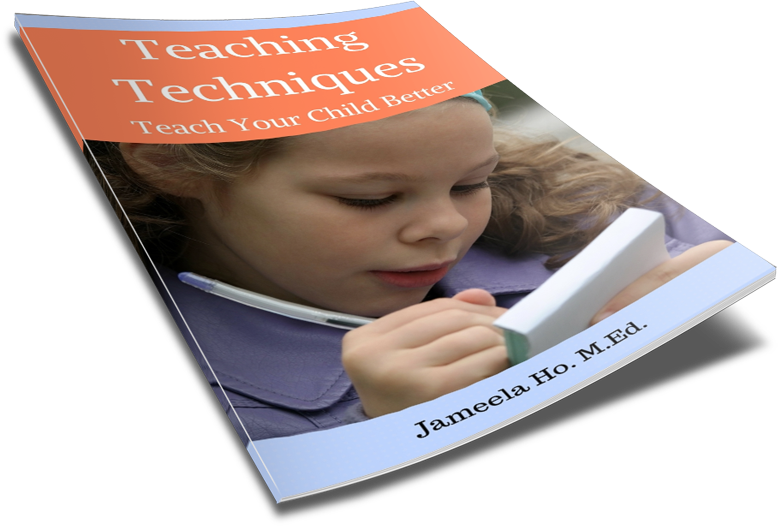 Children aren’t hampered by the physical limitation of fine motor skills or cognitive ability. Sometimes a craft requires children to cut out shapes and corners that are too difficult for little fingers or to fold along a straight line and staple or stick things that are beyond young minds. Sometimes, it is good to follow a premade set of instructions to make a craft. The children do what they can and you, the parent, can help them with the rest. But if you have a large group of young children then it is quite daunting to fiddle around with tapes and things for so many children. With this in mind, I promised myself this year that I would find something simple for the children to make that required minimal assistance from me. 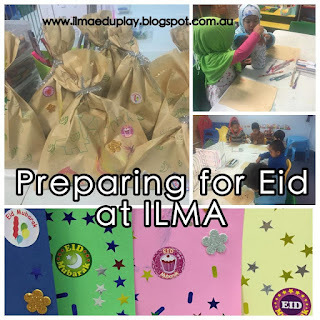 Alhamdulillah, I looked in the cupboard and saw the leftover brown paper bags from making kites for the letter k.
The bags were perfect for the children’s open-ended activity: they decorate it any way they want using glitter pens, stickers, stamps and colour markers and crayons. Perfect. 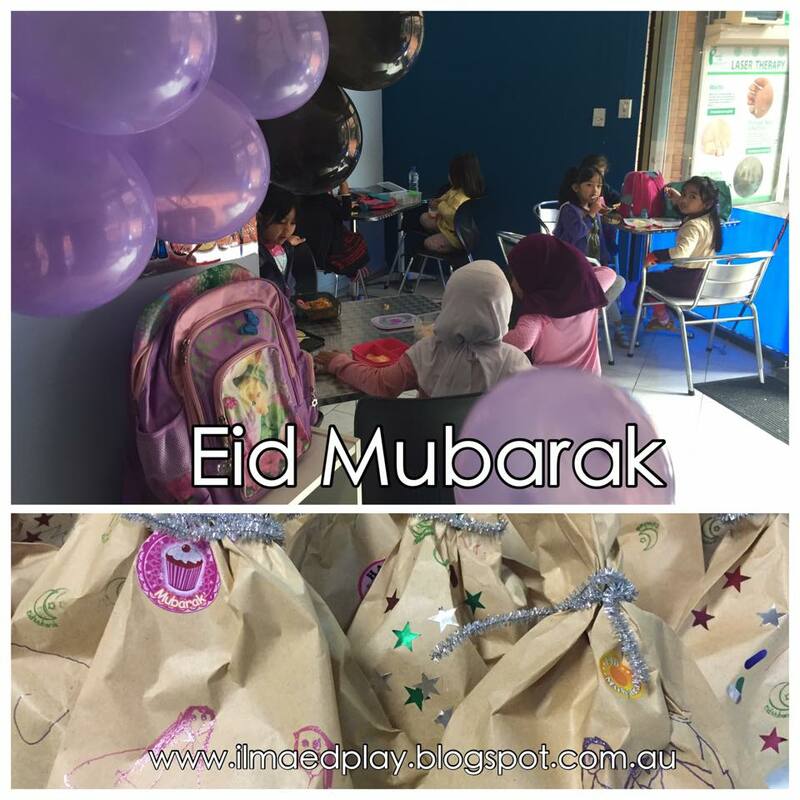 All I have to do was to hand out the items, fill the bags with goodies and wrap the pipe cleaners around the opening of the bags to seal them. Minimal fuss but maximum creativity. 1. 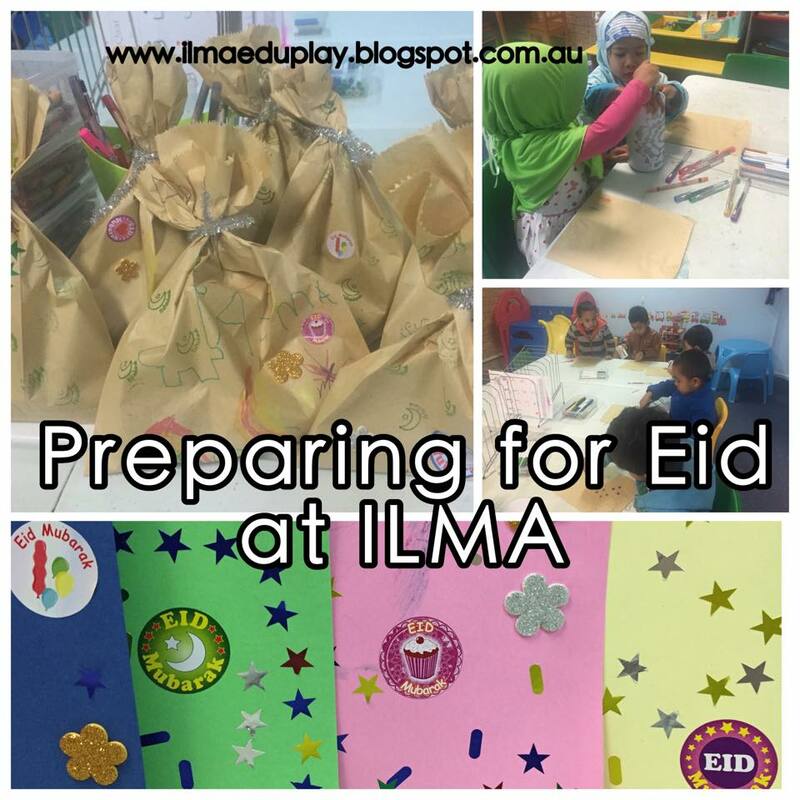 Hand out paper bags with the decorations. 2. The children write their names on the bottom of the brown bags. 3. Let the children draw, stick and stamp to their hearts content on the brown bags. 4. Fill the bags with goodies. 5. Wrap a pipe cleaner around each bag. 6. Hand out to the children and bask in the glow of their happy little faces.